The housing situation of Final Fantasy XIV is a hotly debated topic among players and observers alike, but they're trying to make the situation they have now right. In a recent update, players can be allowed to create a home for their characters in a new residential area called Shirogane, but, the response to this was a bit overwhelming. 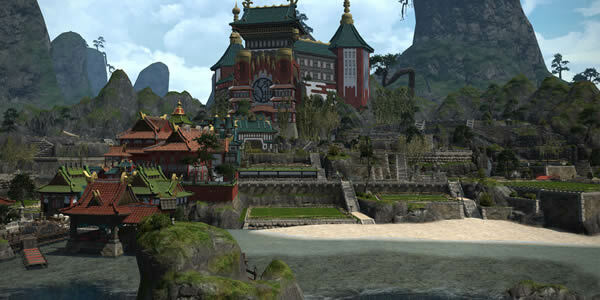 Square Enix figured that players would want to do this, but what they didn't anticipate was the overwhelming numbers of players trying to either buy a house in Shirogane or relocate a current house to that area. On the whole, the feeling of Final Fantasy XIV is unique, and something that would be lost with instanced housing. The patch 4.1 introduces only one new dungeon, the Drowned City of Skalla, which follows the same linear pattern since 2.0. What's more, an incredible soundtrack and a decent micro-narrative are also a bonus, making this the best 24-person attempt yet. For the developers of Final Fantasy XIV, they are adding more content to the game. The patch the full notes and details, source from here. The patch 4.1 "The Legend Returns" really showcases how masterful Square Enix's XIV team is at making high-end content. Actually, "The Legend Returns" only builds on that strong substructure. In the near future, the team is going to make sure that the Patch 4.2 will be bolstered in terms of servers so that it can handle any and all stress the players throw at it.